Every now and then I get sick of boxed mac and cheese and get a craving for the real deal. 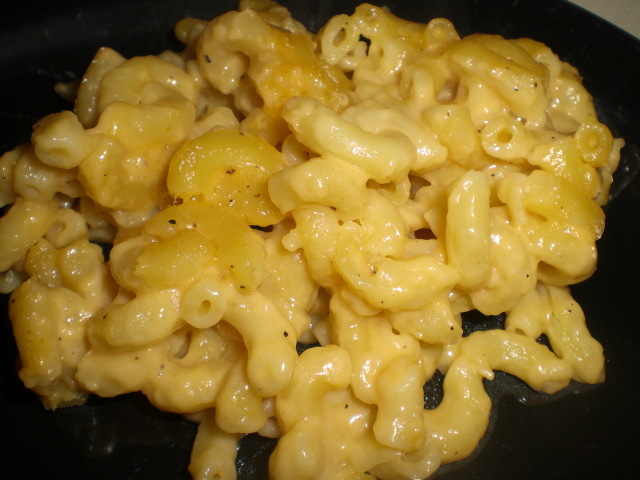 I try to be health conscious and recognize that homemade mac and cheese is fat-a-ning! Well, it doesn’t have to be. 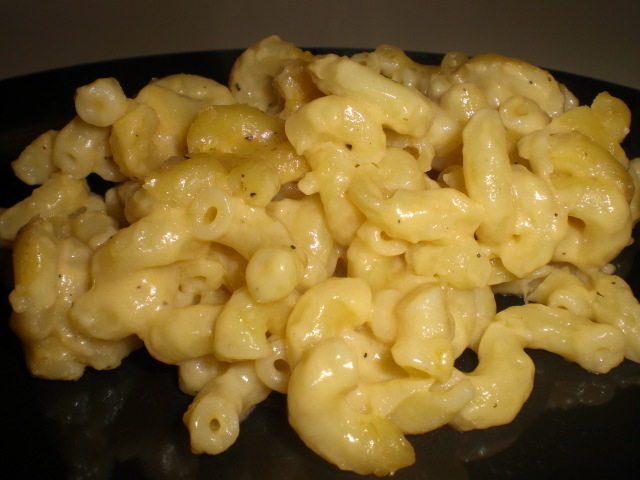 I tooled around with it for a while until I came up with simple, yet low fat way to make mac and cheese without losing any of that good homemade flavor. I think I did it. You won’t believe how easy it is to make. Boil macaroni, drain and set aside. Melt butter into a dutch oven or large soup pot, when butter is melted add flour and wisk for a bout 1.5 mins (I like to cook the flour a bit to get out the starchy-flour taste). When butter and flour is incorporated, add milk and whisk/stir until thick. When thick add cheese and stir until melted. Add cooked macaroni stir until well mixed. Pour into greased casserole dish and bake at 350 for 30-40 mins.